The Ramsey strikes an attractive balance between rustic beauty and step-saving practical. It features the dramatic open-concept great room with large stone fireplace and exposed timbered ceiling; practical kitchen with lots of counter space and easy access to laundry and dining area; plus, master bedroom with plenty of room in the attached walk-in closet and master bath. 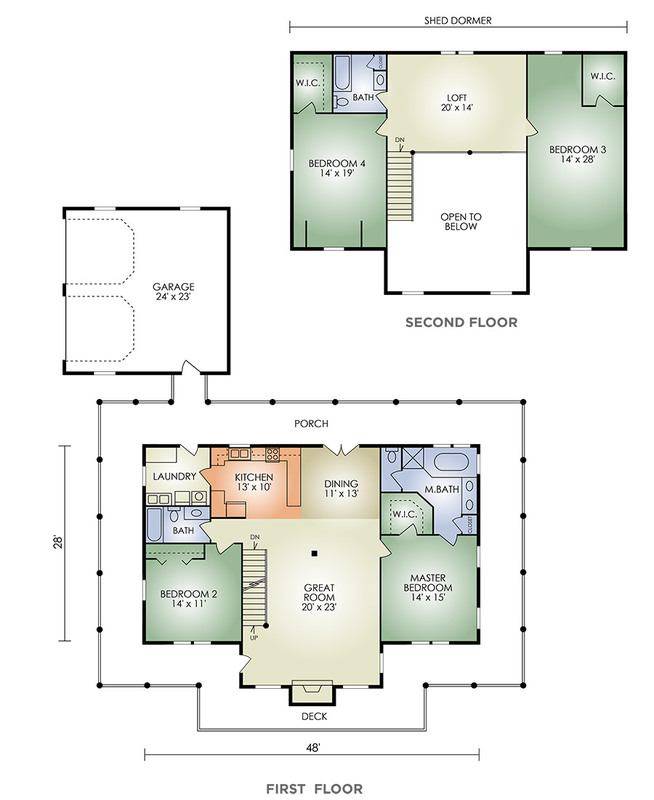 Upstairs, there’s plenty of room for the children or guests in the oversized bedrooms – one with a walk-in closet. The open loft has a large window that provides a great view out the back. The garage is ideally located to bring in groceries via a convenient walkway. 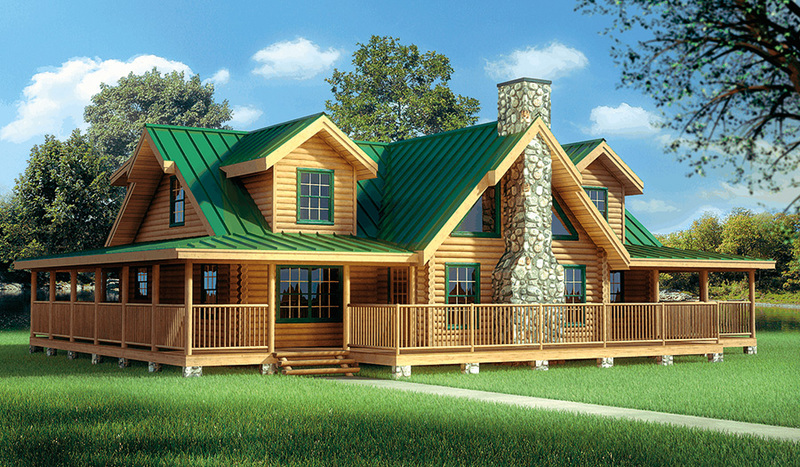 You’ll also love the view and relaxed setting that the fully wrap-around porch provides – as will your guests. If you’re looking for a 4-bedroom home with plenty of space and convenience, this could be your dream home.